#158 is 2 1/2 x 1 1/16 altered and is the one on the arrow. 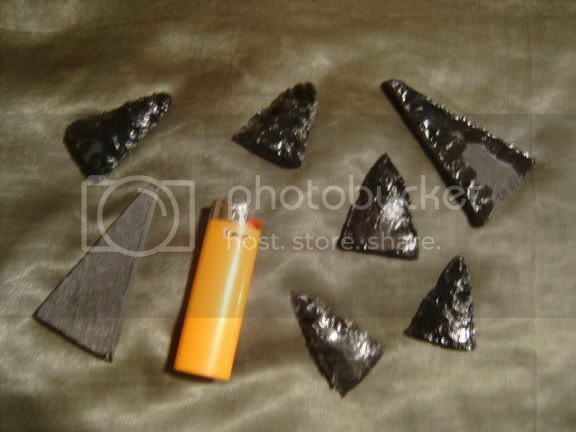 I also found some sawn obsidian preforms on ebay and have been learning to pressure flake with them. I don't think I'm far away from knapping huntable heads but I've got a good bit to learn.